Hello you lovely lot! 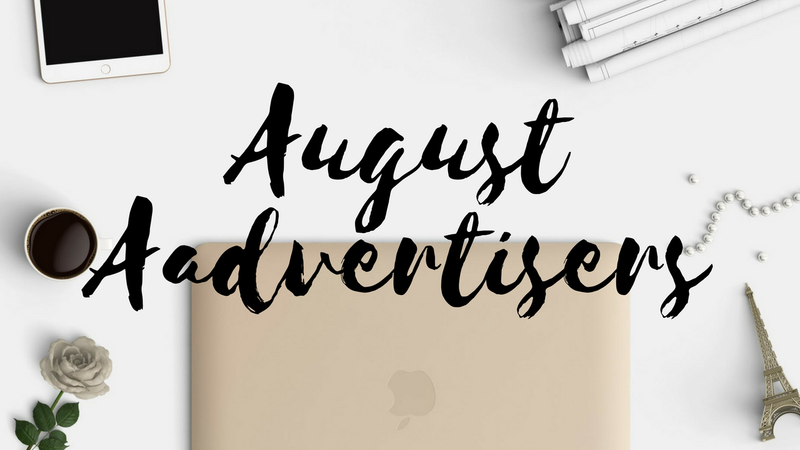 today I have a whole array of Advertisers with me for August and I am so excited to share them all with you. There are all amazing bloggers so I hope you go and check them out today. Please grab a cuppa, sit back, relax and come fall in love with new bloggers. First up I have Lisa from lisasnotebook.com with me again this month for advertising, I can't thank Lisa enough for always coming back to advertises with me, It means a lot and I do genuinely love reading her blog plus she is a lovely person, she is so kind and supportive. One post that I really enjoyed recently was "REACHING FOR THE STARS WITH JULY’S TREATBOX: COLLAB WITH HELLO BEXA" It was great to read a collaborative post and it opened up the door for me being able to collaborate with Lisa myself, so keep an eye out for that this month. Next up is Stacey from SimplyStacey.co.uk with me for August, I have had the pleasure of having Stacey with me before for advertising and I always enjoy reading her content. A post that I have loved reading lately has been "GROW YOUR PINTEREST | A GUIDE ON SETTING UP PINTEREST BUSINESS (INCLUDES A FREE DOWNLOAD) " because I have really been working on my pinterest lately so when I seen this post I KNEW I had to give it a read! "I was originally born in Buckinghamshire and currently live in Wiltshire with my husband, two children, puppy and cat. I am a working mummy and run my blog and YouTube channel on the side in my spare time." Next up is Sarah from adventureaccessories.co.uk with me for August Advertising. I have followed Sarah for a while now and I genuinely enjoy the content that Sarah put's out. Sarah creates the most beautiful handcrafted outdoors gifts. Her knitted products really call out to me, I love a good knitted scarf or hat. Sarah creates an array of products which you can view here - adventureaccessories.co.uk/shop - there's so many awesome products so please do check out Sarah's shop. "I created Adventure Accessories in 2017 when I took a career break and changed direction in life. What began as a hobby to help through a difficult time, has grown to become a successful creative handmade business based in Carmarthenshire, South Wales"
Next up I have Benny from rebuildingbridgesblog.wordpress.com with me again this month for my august advertising, It's so nice to have someone come back and advertise with me so I am very grateful to Benny, He is such a lovely human being so It's a pleasure to promote him. One post that I really enjoyed reading lately was "10 More Things To Watch On Netflix" I really loved the guest post he done on BloggersTribe for us, 12 Things to watch on Netflix. It's great getting more inspiration of what to watch. Next up I have Natalie from islandbeautyjunkie.com with me for august advertising. I love Natalies blog, I really enjoy reading her reviews because I feel like they are completely down to earth and chatty which is refreshing. I loved reading Natalie's post "INDEED LABS RETINOL REFACE SKIN RESURFACER SERUM REVIEW" as I have been looking for something to help my skin lately, I feel like I am having terrible break outs plus I have heard of the Retinol serum before, I loved this post so much that it convinced me to buy some! "Hi there, I am Island Beauty Junkie. I am a thirty something makeup obsessed Design Lecturer based on a small beautiful island called Anglesey at the top of North Wales, UK." 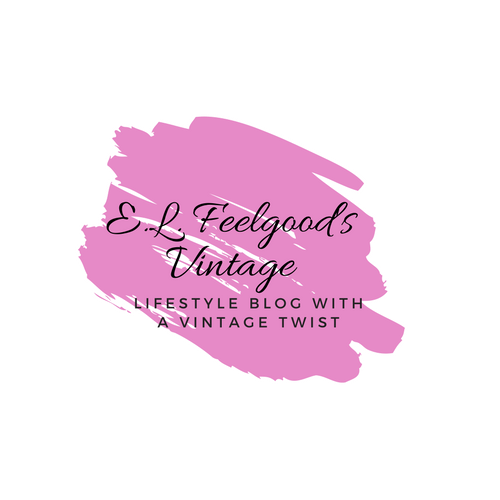 Next up is is Ellen from elfeelgoodsvintage.uk with me again this month, This is another lady that I can't thank enough for advertising with me, Ellen has been with me for so long now and it's such a pleasure to have her featured here on my blog. It's so fun reading her blog as I always tend to learn something new, one post I have really enjoyed lately is "SECRETS REVEALED: HOW BLOGGERS ACTUALLY MAKE MONEY BLOGGING" because I have been trying to up my blog game and this gave me some food for thought that's for sure. I also have Rosalene with me this month from majellarose.com/, Rosalene won my Blog advertising package because she took out an advertising package with me before. It's an honour to be showcasing Rosalene again. I have been followed Rosalene for a while and I just love her style of blogging. One post that I have loved from her recently is Festival Food Diaries – Cheese & Iron because I absolutely used to LOVE cheese, I still do, but I can't have dairy anymore so I got to lust over the amazing toasties whilst reading about truly scrumptious food! "My name is Ros or Rosaleen Mary Majella Marmion to be official and i’ve decided to create a blog about everything and anything that makes me happy. My life is about to change big time, i’m 13 weeks pregnant as i write this and i would love nothing more than to document whatever happens in the next few years and hopefully you will all enjoy reading what i have to say"
I also have Clementine from Clemloves.co.uk with me for Advertising this month and I couldn't be more honoured to have her! 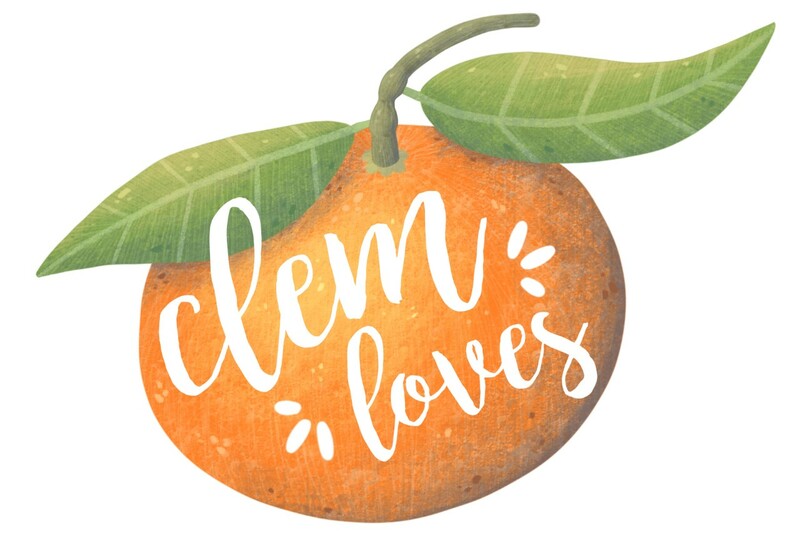 I have loved reading Clems blog for a good while now and I'm always in awe of her beautiful content. One post from Clem I have loved recently is - "Creating a Wildlife Garden" because I have been getting stuck into gardening and all things plants recently so obviously I was drawn to this post. "I’m Clementine but everyone calls me Clem! I’m 28 and I live in a town in Lincolnshire. I have a huge passion for writing and taking photos. I am a creative person who loves to paint and I also have a huge passion for radio and all things audio and sound related. Fun fact number 1, I play the drums in a band called Sidecar Mutiny and I’ve been playing the drums for about 13 years now. Fun fact number 2, the Chuckle Brothers once sang ‘Oh My Darling Clementine’ to me!" Next up I have Naomi from tralisty.com with me this month. I have only just started to read Naomi's blog and I have to say, I'm impressed. I really like that Naomi seems very real and relatable, it's nice to get emotion from what people write. One post I absolutely loved reading was Naomi's post - "BEING MIXED RACE IN AN INSTAGRAM WORLD" - I found this post so honest and raw, I'm someone who likes to read about peoples lives (yes, I'm Nosy! haha) but I found this post was filled with some truths that some may not want to acknowledge but for someone who does think these things about certain press trips etc... it's very on point. "As a 20-something living in a world of insta-models and edited pictures, I wanted to show the real side of living in a big city with no real life plan." Last but certainly not least is Catherine from paintthefaceofanxiety.com with me for my August Advertising. Again, Catherine's blog is a relatively new one for me, I have only just started to read Catherine's blog and I already love it. One post I absolutely LOVED from Catherine is "Stormy Seas makeup look" because I am OBSESSED with mermaid and all things sea related so of course I was drawn to Catherine's make-up look. I think it's blooming amazing how she achieved this look and now I have to go get my hands on so many new eye shadows! "Hey There! Im Cath, im 25 and from the uk, im a complete beauty junkie, gamer, vegetarian, animal lover and nerd! Paint The Face Of Anxiety is a blog made in july 2018, i’ve came back to blogging after 4 years when i had a blog called beauty is in the eye of the beholder." A MASSIVE thank you to all of my August Advertisers, It mean's a lot for them to advertise with me which means the world. So many new blogs to check out now! thankyou for your kind words love! oooooh I'm super excited to check out all of these bloggers!!! Aww thanks for commenting Lisa and thank you so much for advertising with me!